After Jordan Galland submitted his first script to studios, he received the following response: “This person should not write anything. Ever. He’s not a writer.” Galland didn’t let the criticism faze him — after all, he was only fifteen. Twenty years later, he’s written, directed, and produced three feature films all on his own. His most recent effort, Ava’s Possessions, premiered this year at SXSW. On top of making movies, Galland is a prolific musician with four solo albums under his belt. His compositions have been featured on soundtracks for several movies, including Lena Dunham’s breakout feature, Tiny Furniture. Clearly, the childhood teacher who identified Galland as being “a serial artist” was on to something. He took their advice. 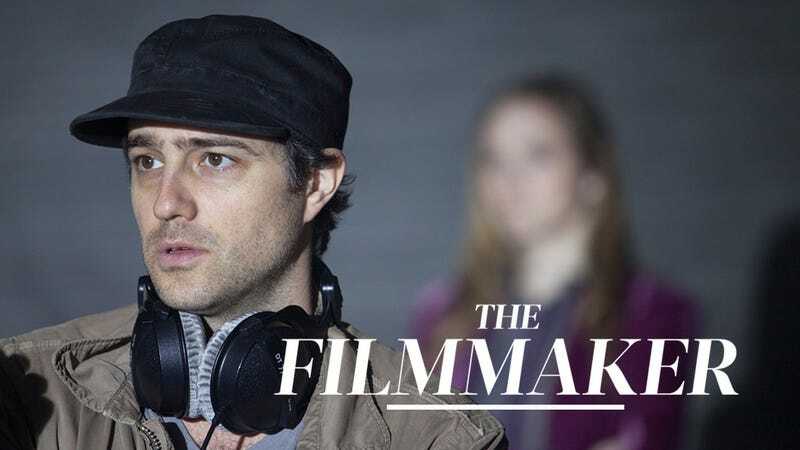 By the time he was an undergraduate studying film at NYU, Galland could already claim himself as a seasoned screenwriter, unfazed by the studio readers who had rejected his teenage work. After graduating, he found himself in the same position as half the film majors in the city, lugging around two suitcases — one with lights, one with microphones — around New York City. His first would-be feature-length work, Smile for the Camera, mostly revolved around him and his friends hanging out in various parks around the city. “It wasn’t very good,” he admits. “Watchability is a guiding principal for me,” Galland now says. Unfortunately, Smile for the Camera was not watchable — but at least it was something. “[Director] Bennett Miller said that your job in the editing room is to hide how bad the movie is from the audience — and I had a really bad movie that I could cut. A lot.” When the movie was finally pared down to its essentials, Galland’s epic feature became a short — a short that went on to win the ScreenCraft award for best short at the 2005 New York International Independent Film and Video Festival. Because Galland has always eschewed big budgets in favor of being able to do things his own way, he notes that he’s never worked on a movie where people get paid the kind of money they should be making. “I only choose to make movies this way out of pure obsession, and my job is to convince the people I work with to be as obsessed as I am.” Sometimes obsession means going back to the drawing board. In 2007, Galland had written a script for a film that would have been, in his words, a “normal horror movie.” But in gearing up to start making it, he realized that he wasn’t as excited about it as he should be, and suspected that others wouldn’t be either. So he did one of the most terrifying things any artist can do: he started over. In order to find renewed inspiration, he reached all the way back to his high school production of Rosencrantz and Guildenstern Are Dead, and put his own twist on it: the result was Galland’s first produced feature, Rosencrantz and Guildenstern Are Undead, which follows a young theatrical director working on an off-Broadway adaptation of Hamlet that turns out to be a hotbed of vampiric activity. This singular originality is something that all of Galland’s films share. They also combine emotional realities with a heavy dose of postmodern playfulness and humor. His second movie, Alter Egos — which was written and shot in only ten months — imagines the existential crises suffered by a group of superheroes who’ve lost both public support and government funding. His most recent film, Ava’s Possessions, explores the inevitable relationship fallout that happens when you’re recovering from a demonic possession. As one might imagine, it’s awkward. It’s also different from anything else out there. Galland doesn’t take that calling lightly. “I’ve written 20 scripts — that’s a lot of work — and most of those will never see the light of day,” he says. “A film is such a giant undertaking that you want to be sure you’ve gotten as many bad ideas out of your system as possible before you commit to something. You work on it for so long that each project has to be original and fresh. You don’t want to rush anything because if it’s not perfect, when you put it out there, it’s not ready and it’s imperfect forever.” It’s this unflagging dedication to craft and detail that will keep audiences interested in Galland’s work as he continues to produce it. It’s both wild and wise, always thoughtful, and always #Nevertamed.